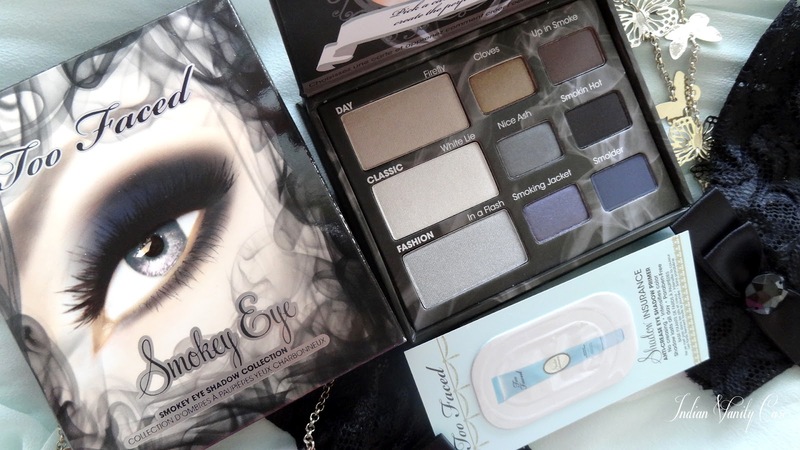 It comes with a sample of Too Faced Shadow Insurance, my favorite eyeshadow primer! I did a comparison between TFSI & Urban Decay Primer Potion here. Also included, are 3 How-To-Cards with step-by-step application instructions for creating smokey eyes in minutes. 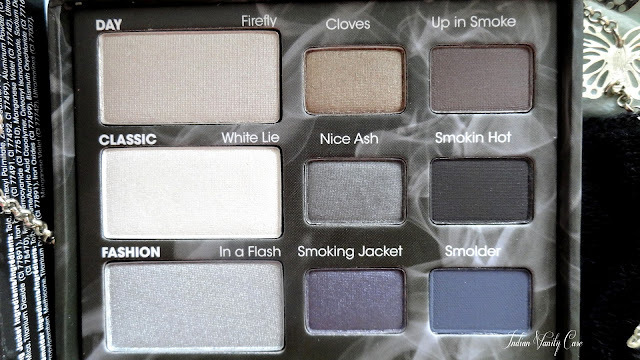 It's a neutral & smokey palette in one, with an equal mix of matte & shimmery eyeshadows. * I'm giving this away to one of my blog readers. If you want to WIN it, please go HERE to submit your entries. Fate will decide who it'll belong to. I really like the first row, Cloves looks amazing!